Currently closed for the winter. See you in the Spring. 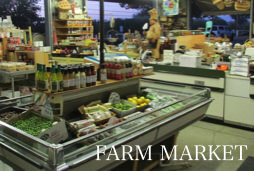 In operation since 1947, The Fruit Bowl continues to provide the freshest and the best of local produce, baked goods, nuts, jams, local honey and olive oils, and Lodi wines. The Lucchetti family encourages you to stop in and enjoy the bounty of San Joaquin County. 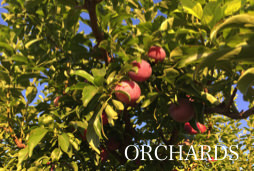 We specialize in tree-ripened fruit and fresh vegetables picked daily during the summer season. 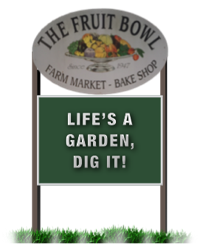 Just 3-1/2 miles east of Highway 99 on Waterloo Road (Highway 88), The Fruit Bowl is a great place to stop for lunch and enjoy our lawn and shade trees or pick up the perfect imported Italian ingredients to stock your pantry shelves. In addition to providing the customer with the freshest and finest quality products from our farm and local growers, The Fruit Bowl also offers a wide variety of specialty items in our Farm Market. 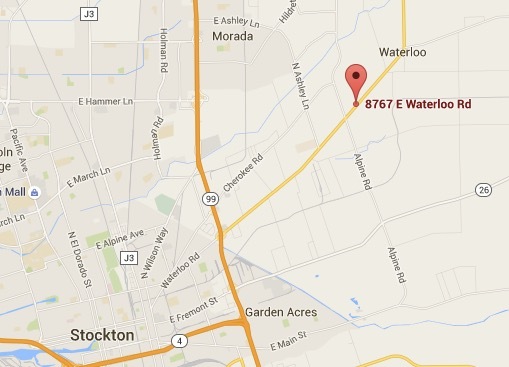 Furthermore, our pies are renown throughout the Central Valley. We specialize in fruit pies, using our own fruit when available and IQF (Individual Quick Frozen) fruit when ours is not available. 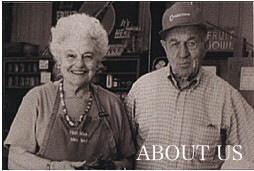 Baked on site daily, we make our pies from scratch using the highest quality ingredients available. 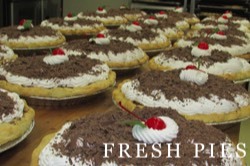 We also offer sugar-free frozen pies, made on site, and cream pies, by order.